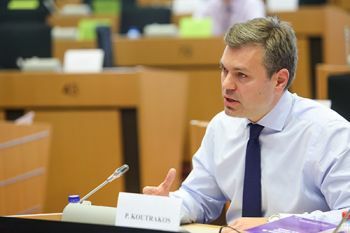 City’s Professor of European Union Law and Jean Monnet Chair in EU Law, Professor Panos Koutrakos says that Britain’s membership of the EU will put pressure on the country to keep fighting tax avoidance. City’s Professor of European Union Law and Jean Monnet Chair in EU Law, Professor Panos Koutrakos, says that while the EU has made efforts to get its members to tackle the problems raised by tax havens – blacklisting them, for example – such a move has been resisted by the UK. Professor Koutrakos, shared this view as part of his contribution to The Guardian Small Business Network EU Referendum online panel published on 19th April 2016. Panellists were asked to respond to the question: Tax avoidance: would Brexit encourage a crackdown or make it easier? He also mentioned that “being in the EU gives the UK considerable leverage in its tax dealings with large corporations”. Professor Koutrakos’s fellow panellists included Daniel Gros, Director of the Centre for European Policy Studies, and Professor Sebastian Dullien, Senior policy fellow at the European Council on Foreign Relations and Professor of International Relations at HTW, Berlin University of Applied Sciences. To read the contributions of all panellists in full, please visit this weblink.